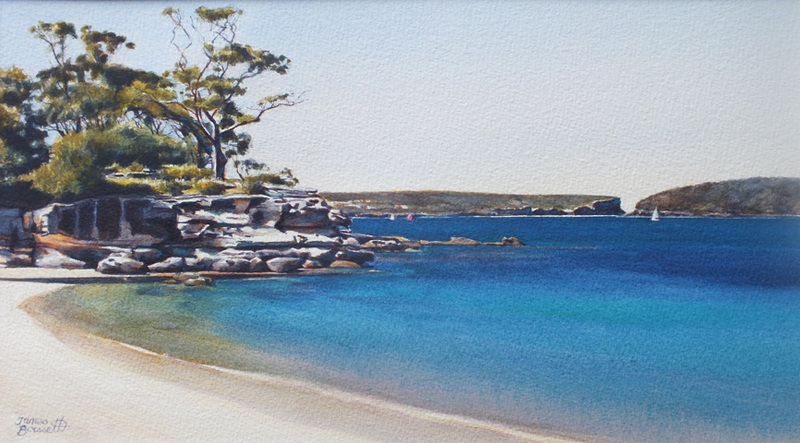 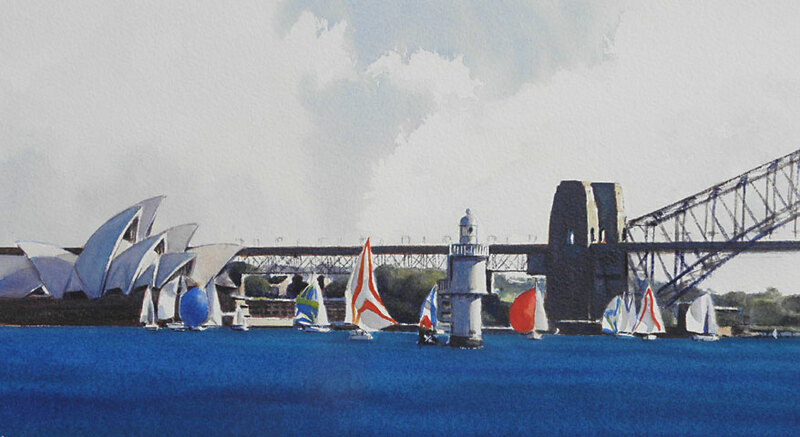 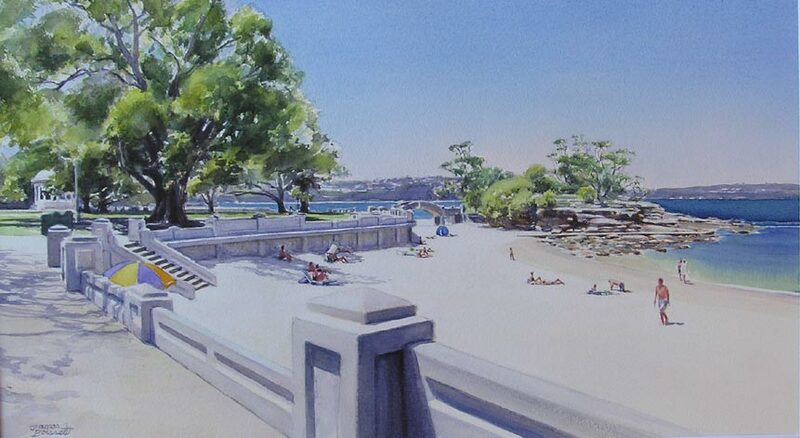 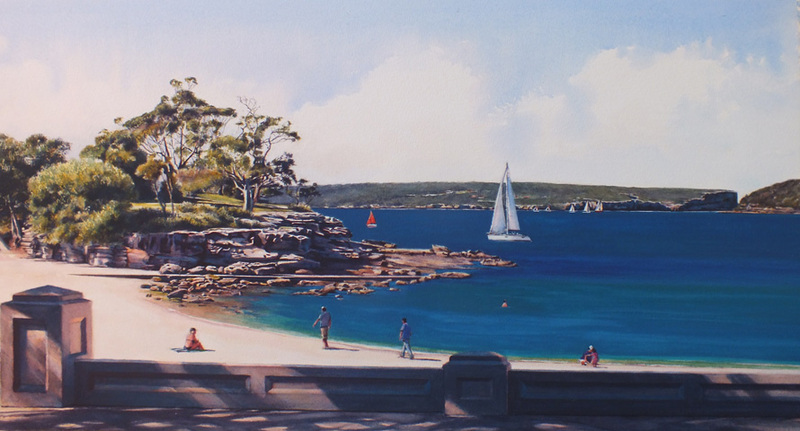 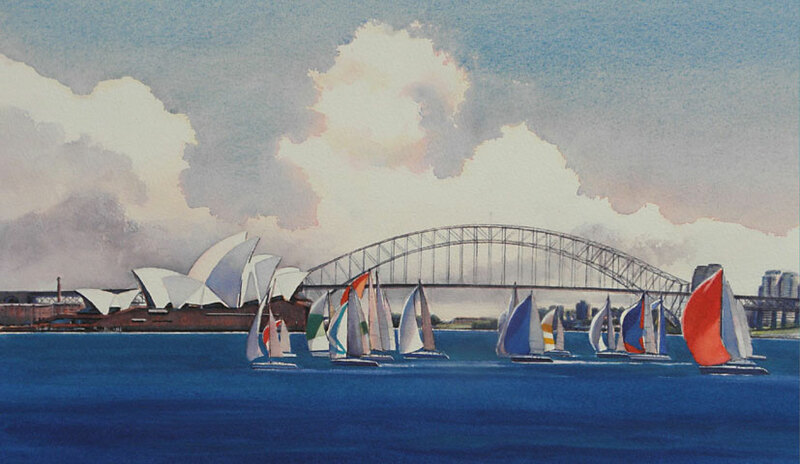 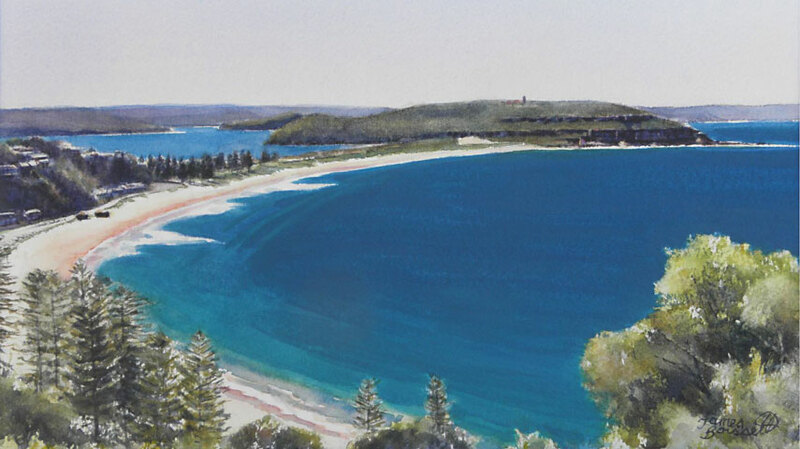 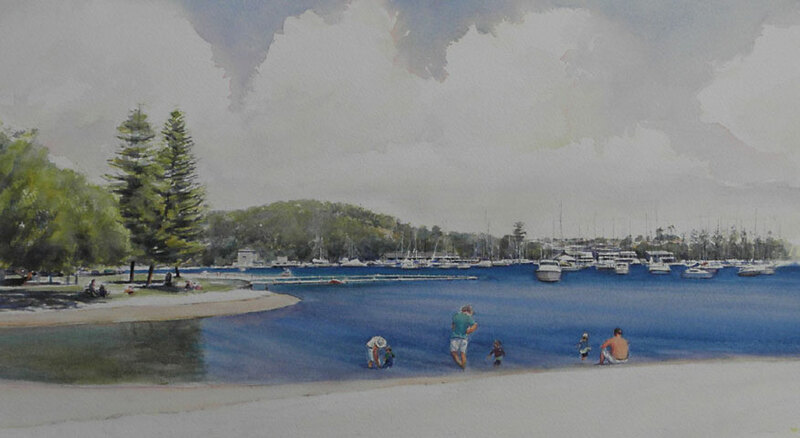 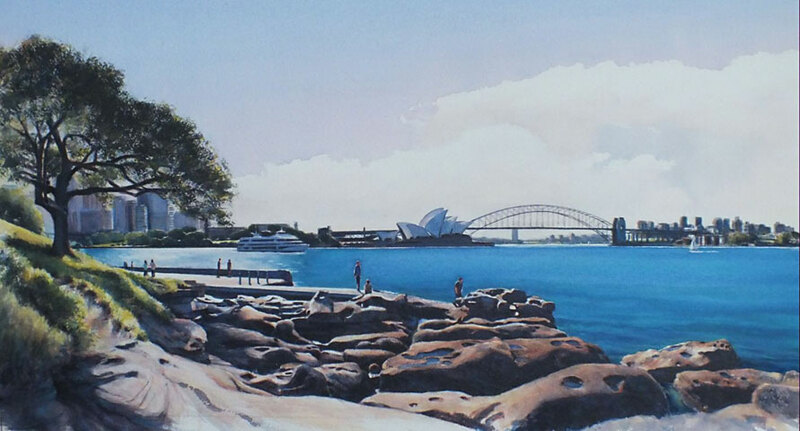 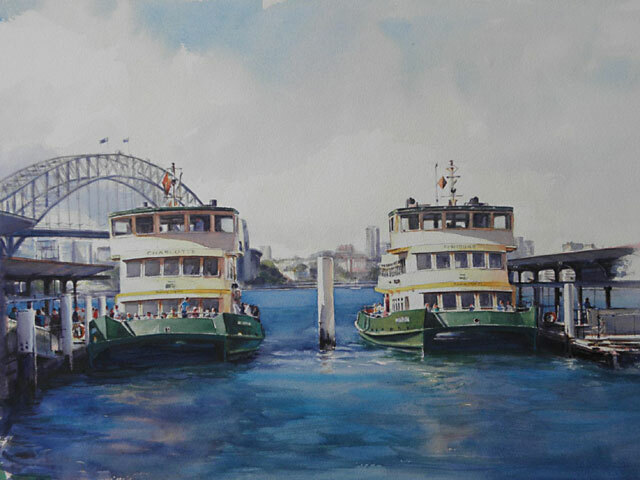 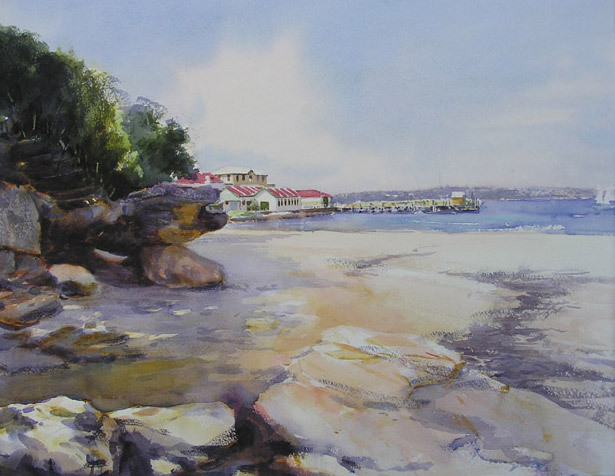 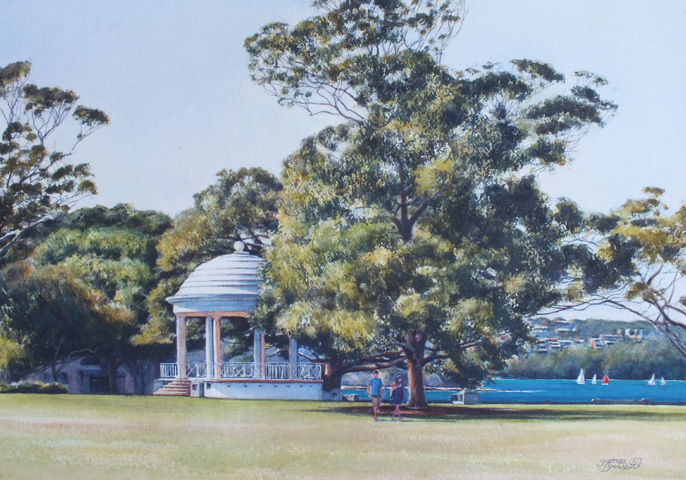 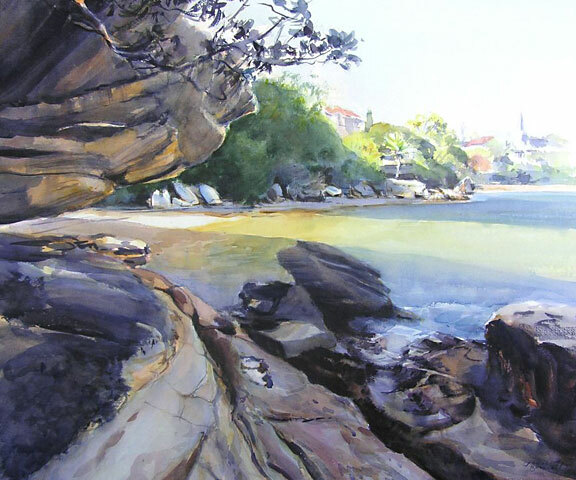 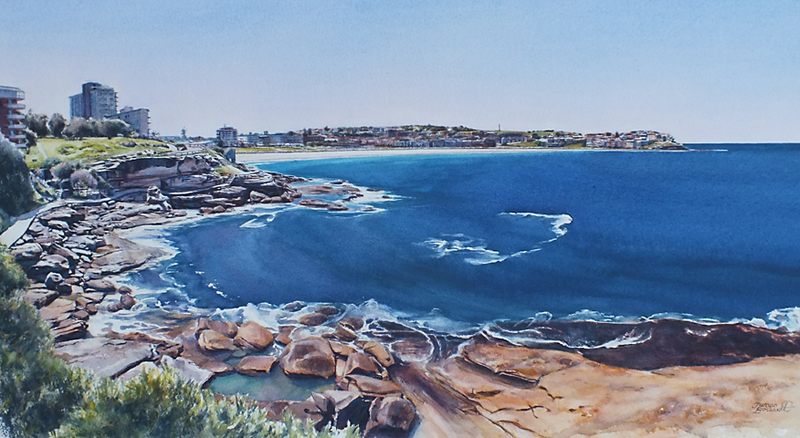 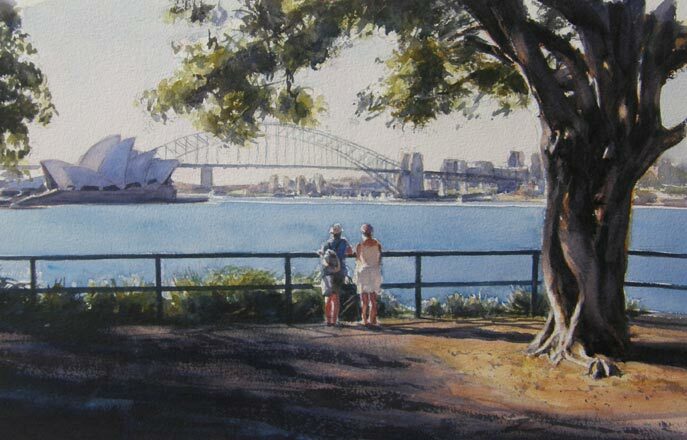 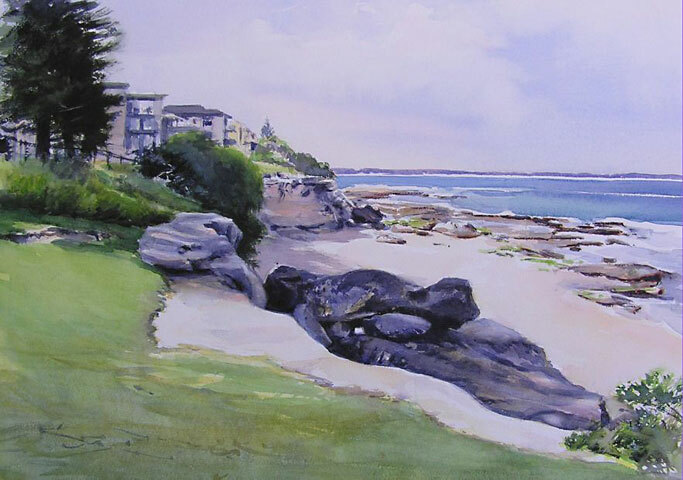 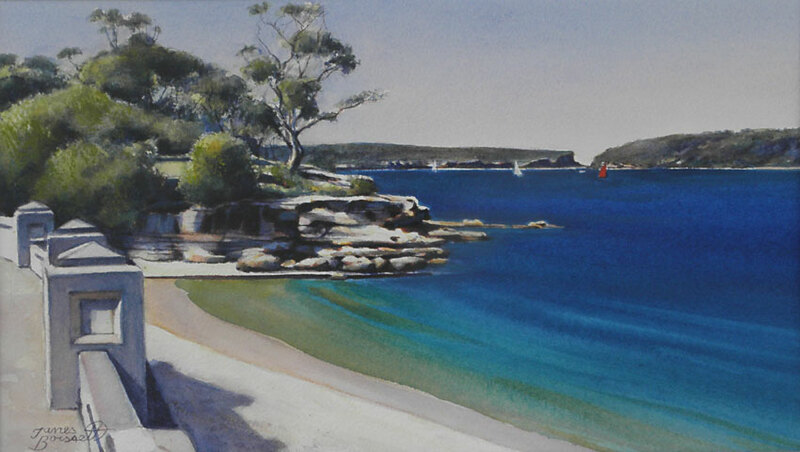 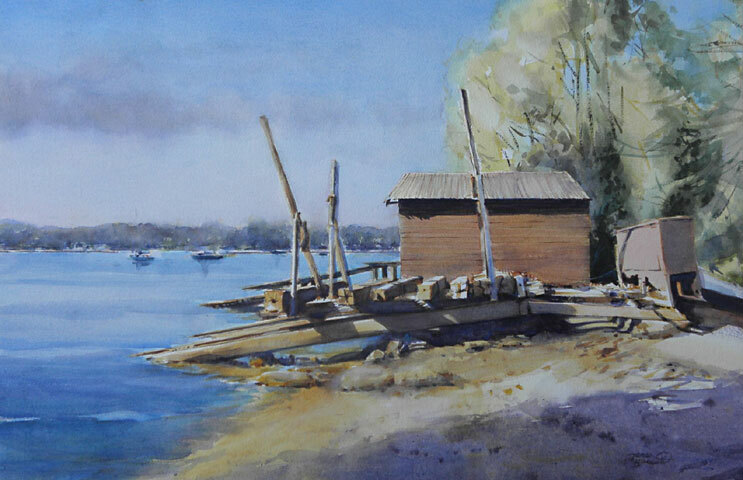 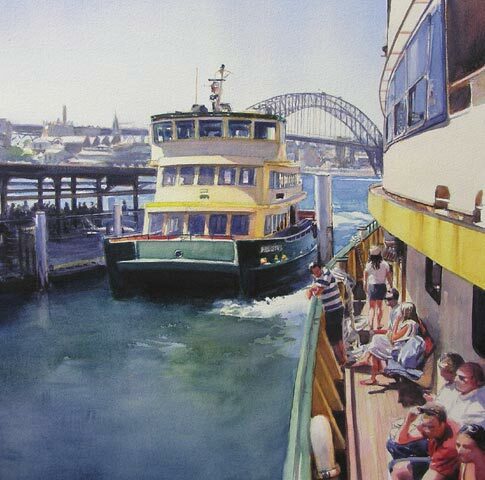 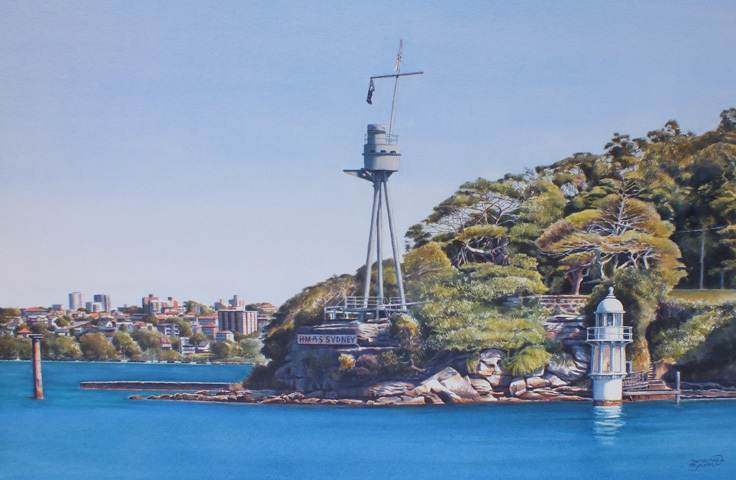 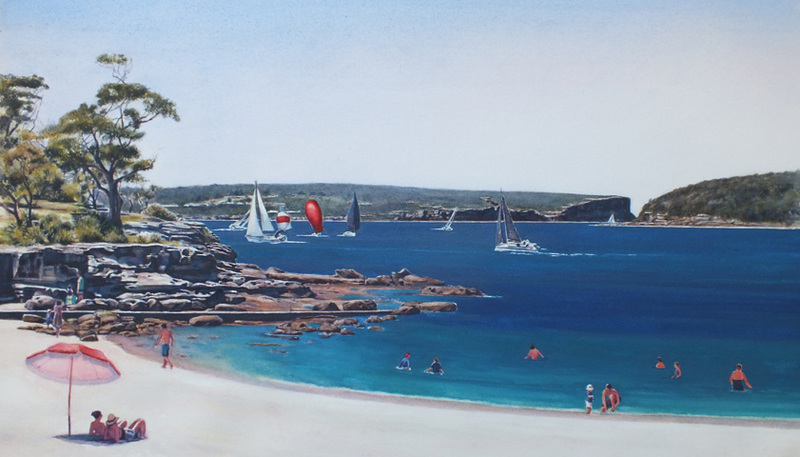 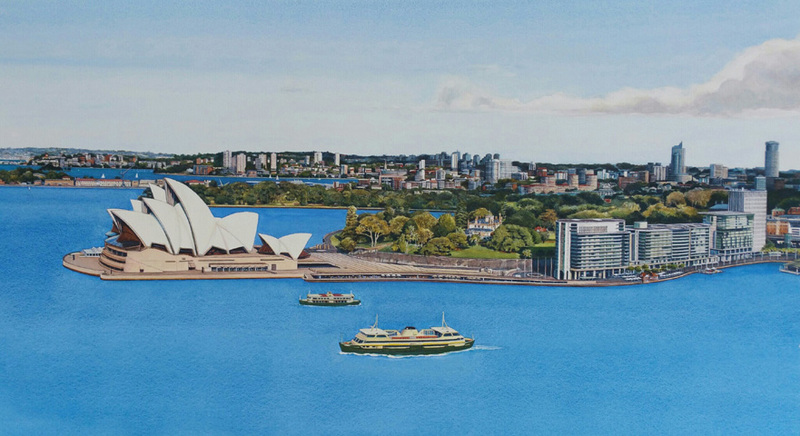 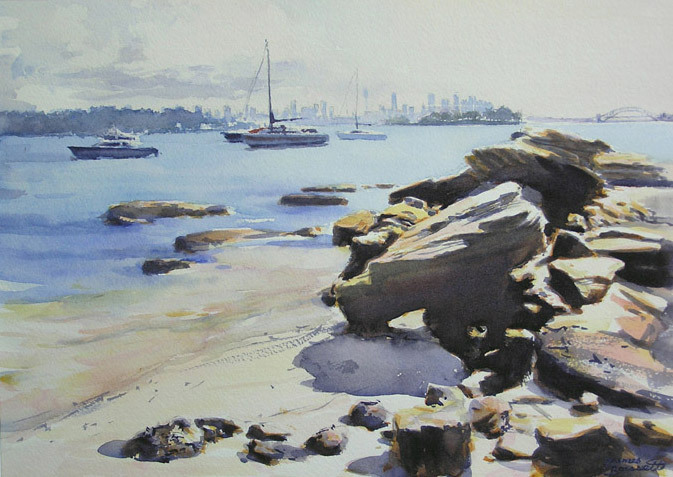 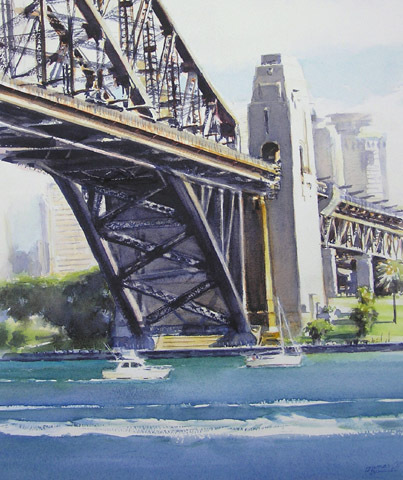 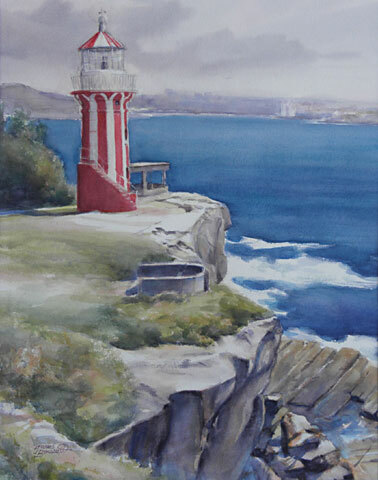 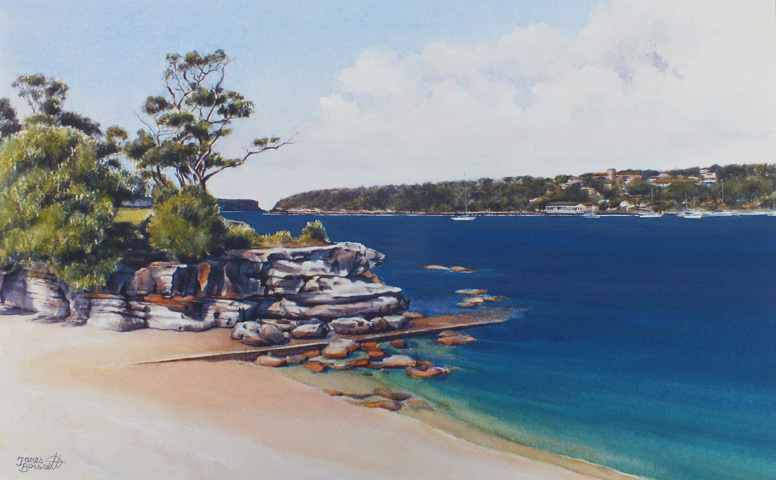 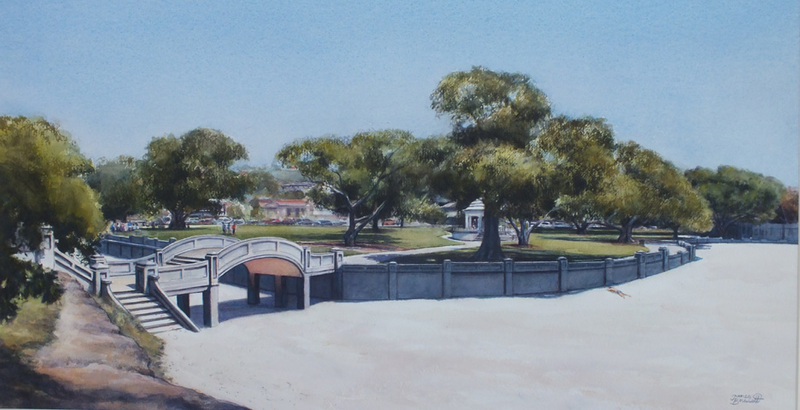 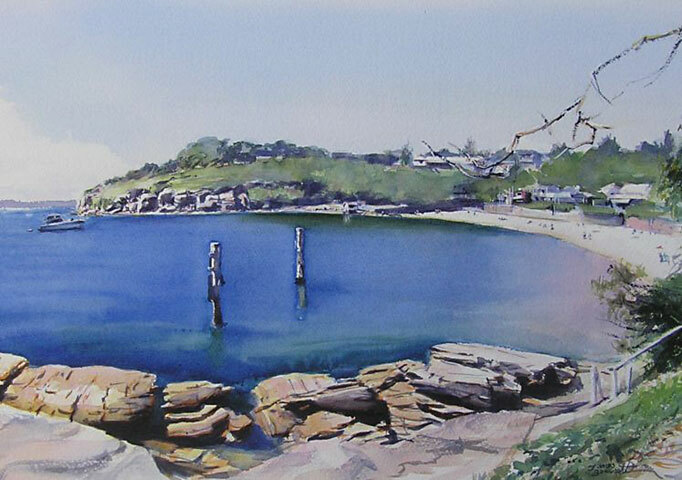 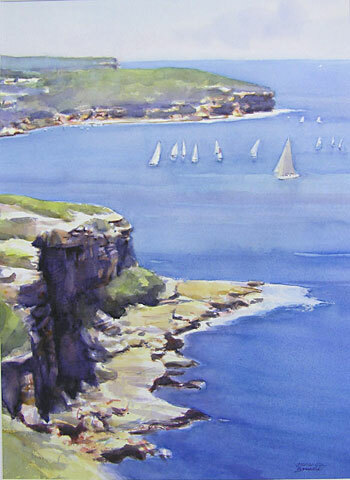 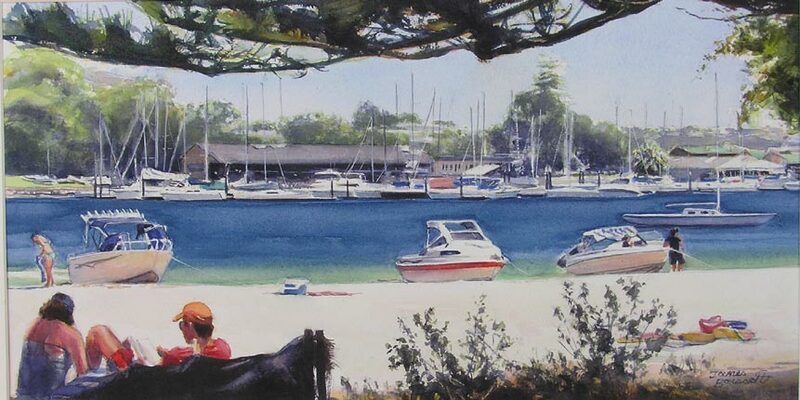 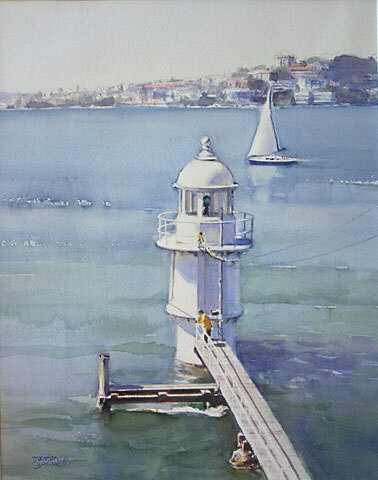 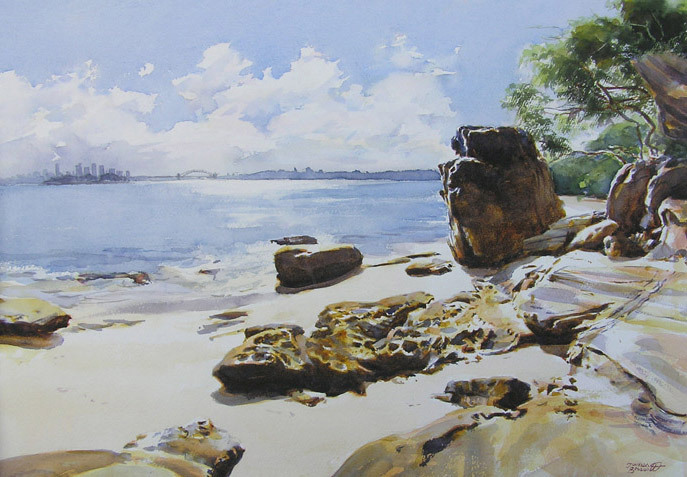 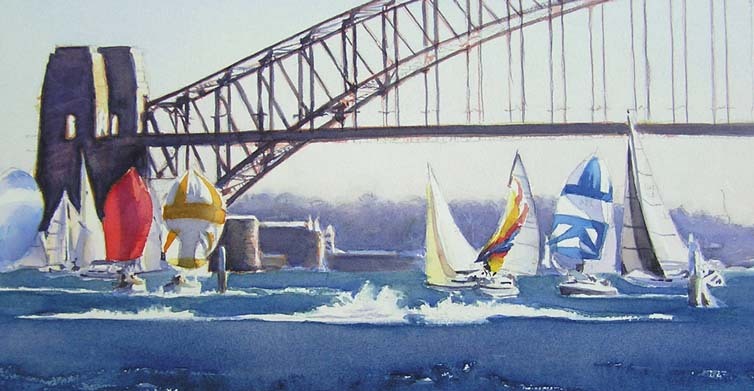 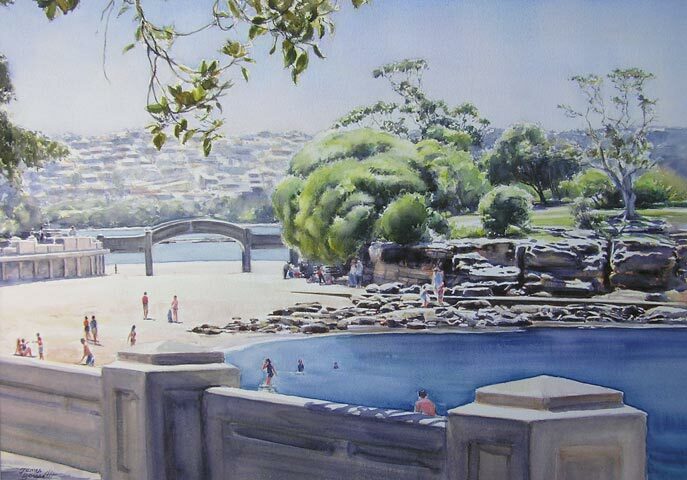 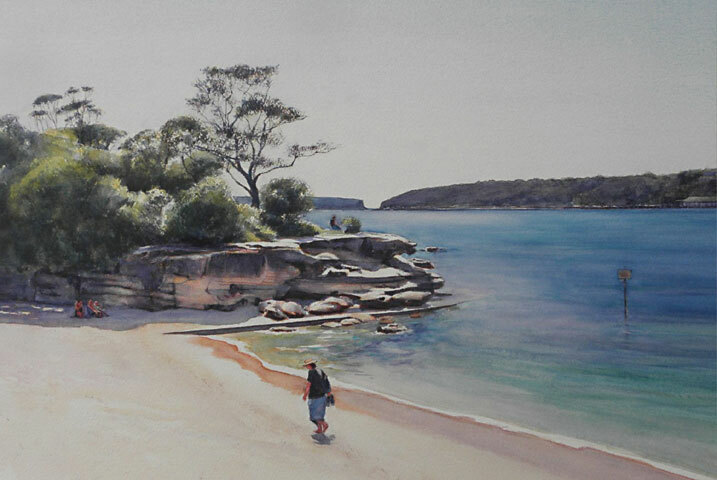 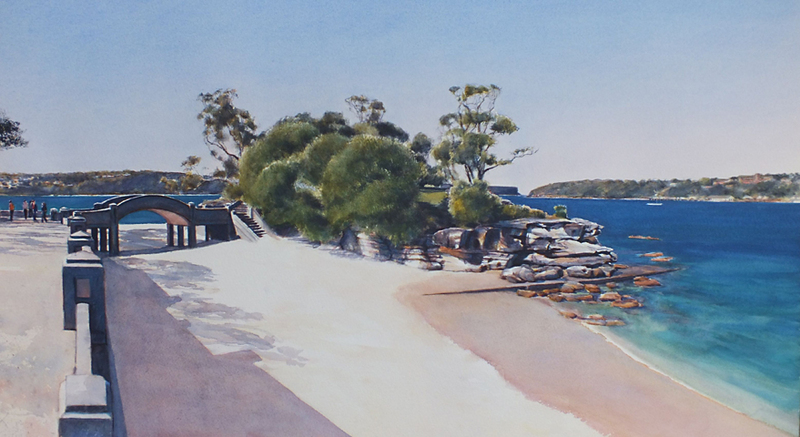 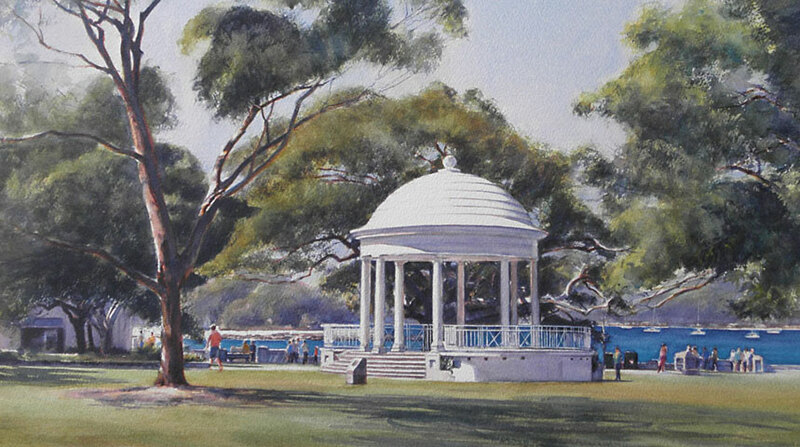 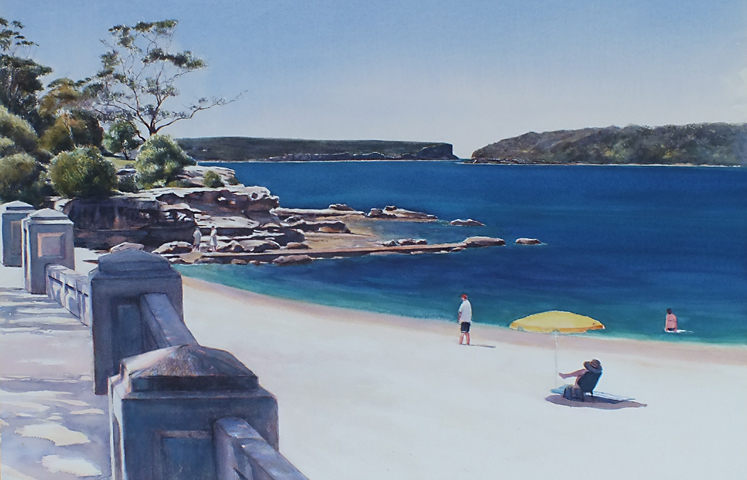 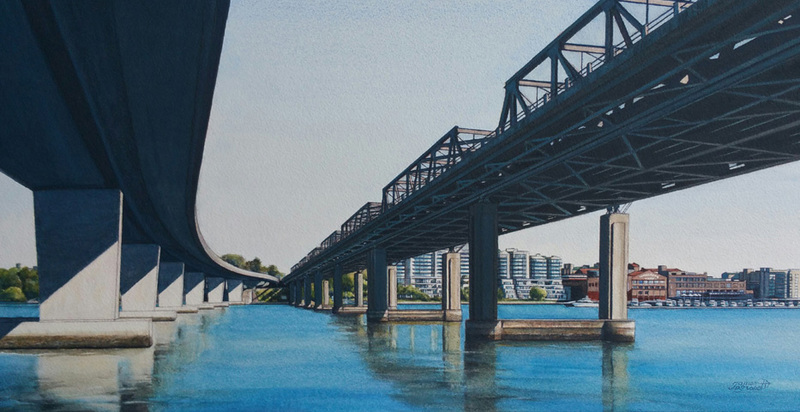 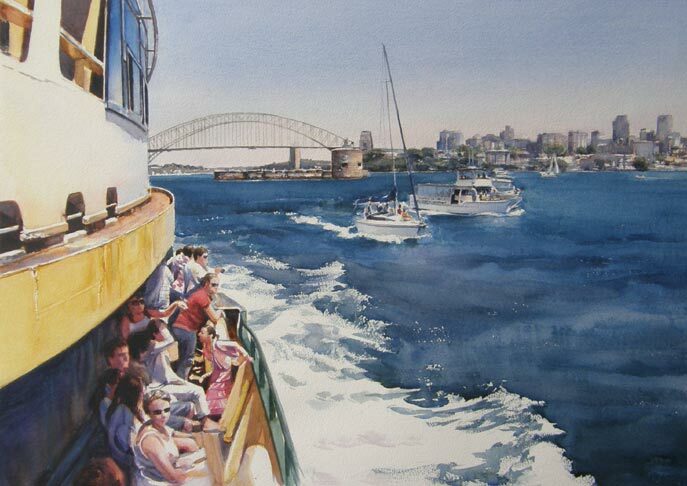 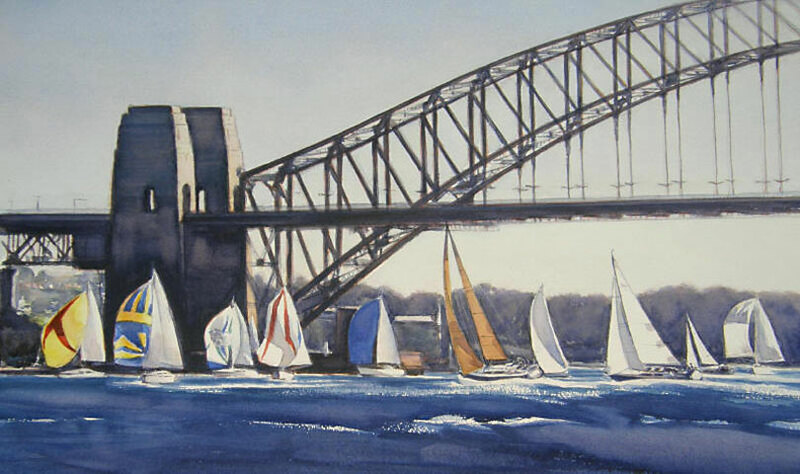 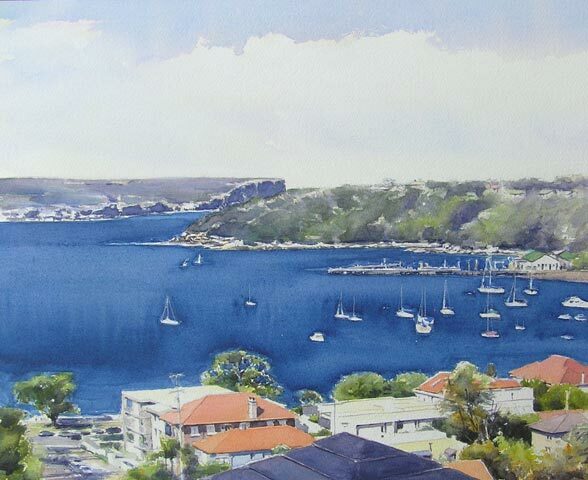 I never tire of painting water scenes having lived around Sydney Harbour and the waterways of the New South Wales Cental Coast for half of my life. 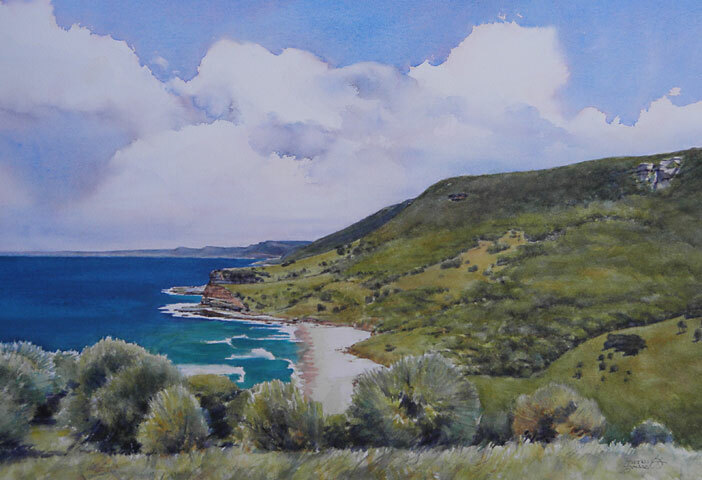 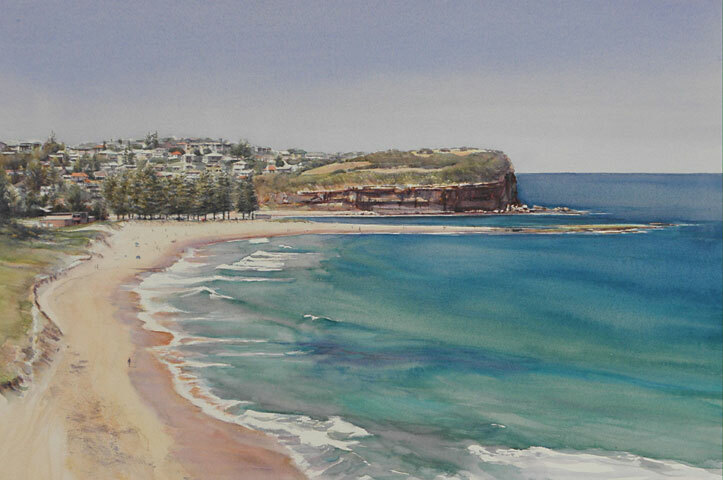 Living close to surfing beaches and constantly painting on site at Sydney Harbour beaches, I am drawn to the ever changing dynamic of aquatic scenes. 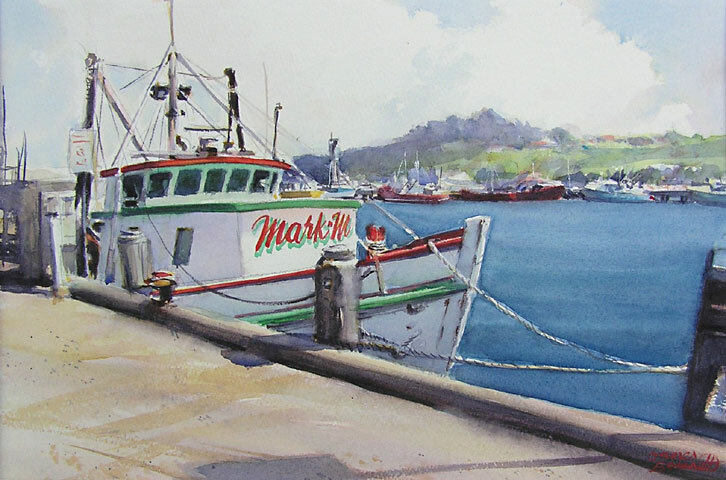 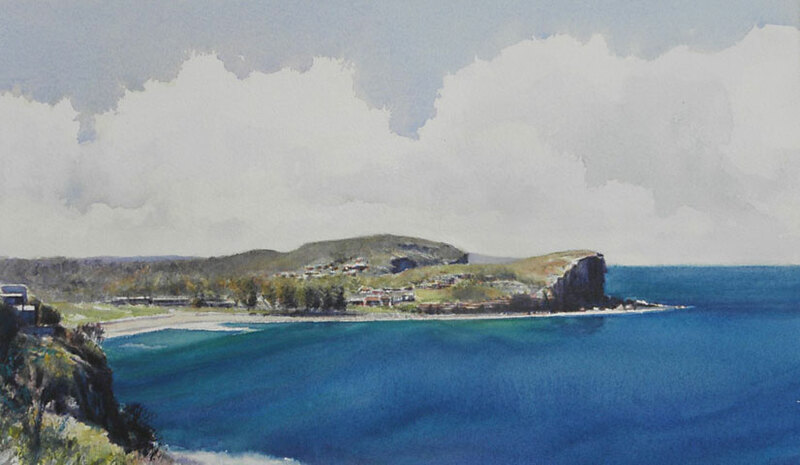 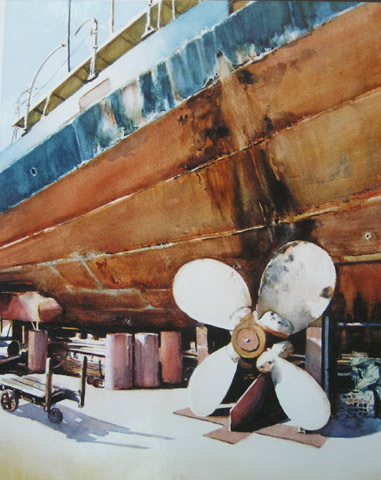 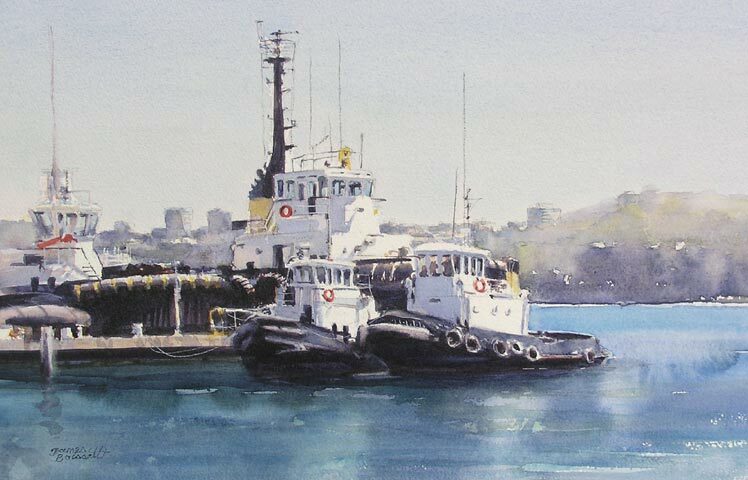 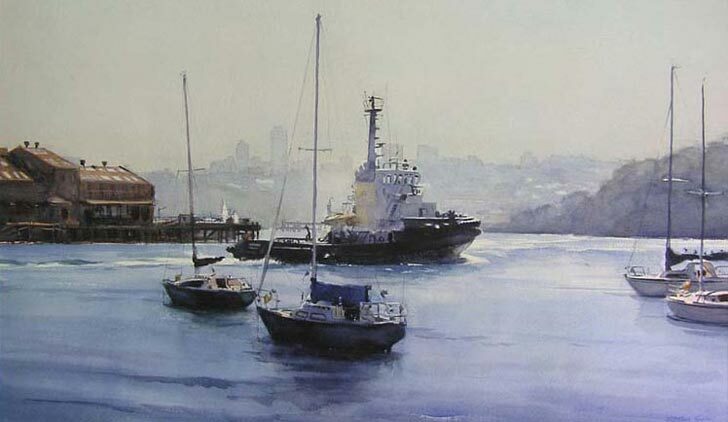 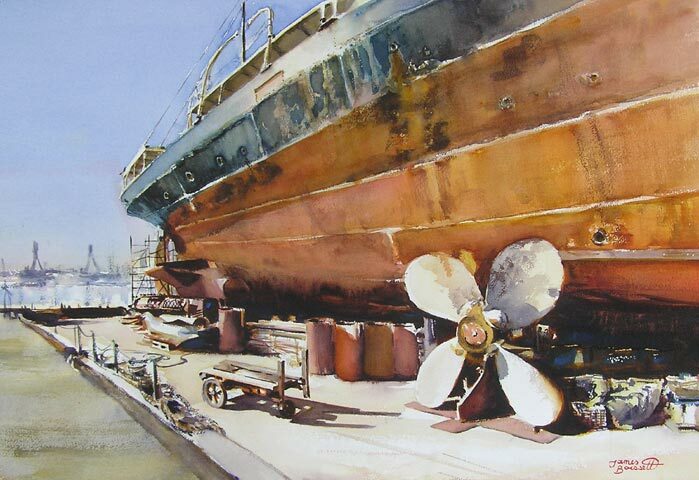 The painting medium of watercolour showcases water and marine subjects brilliantly. 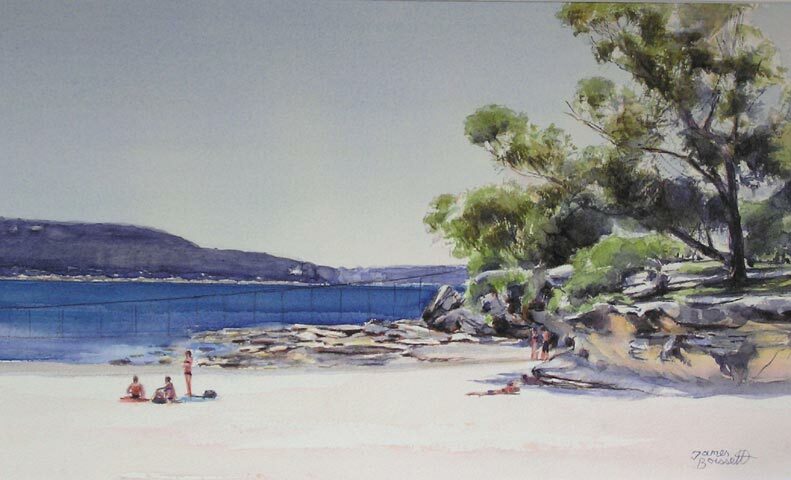 With deep blues and greens, the heat and light radiated and reflected from majestic white beaches, all punctuated with bathers, sunbakers, boats and watercraft. 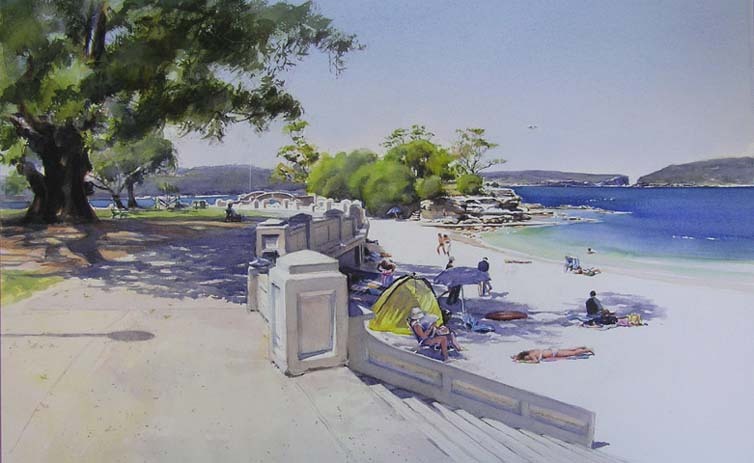 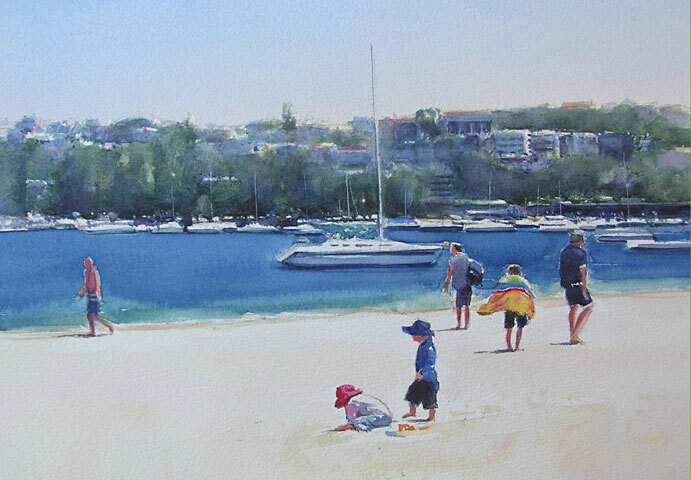 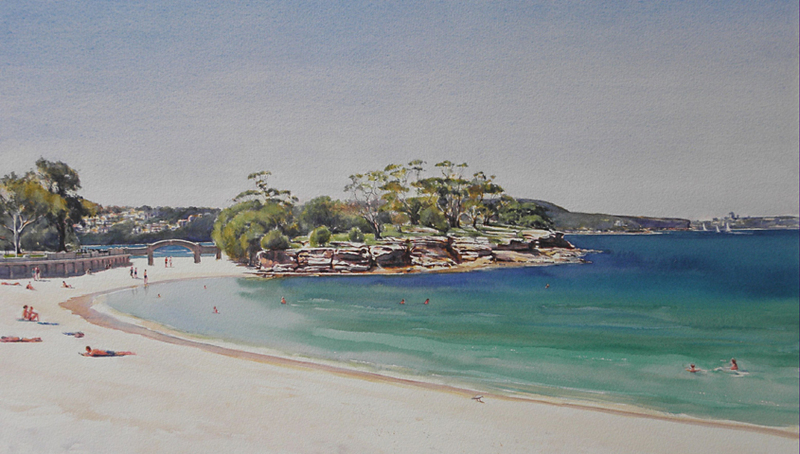 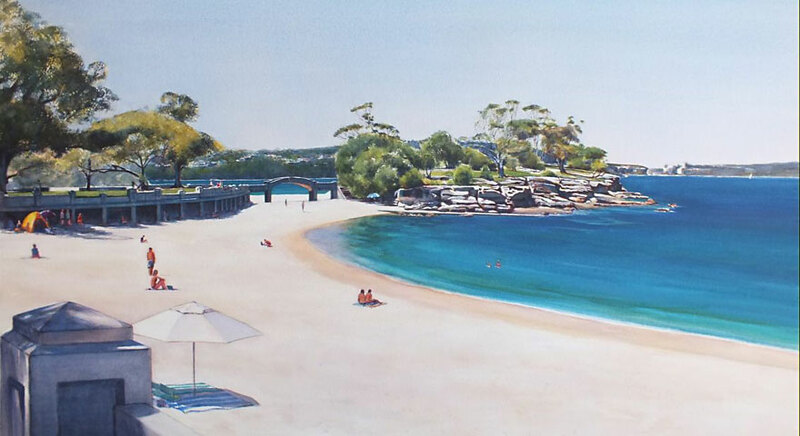 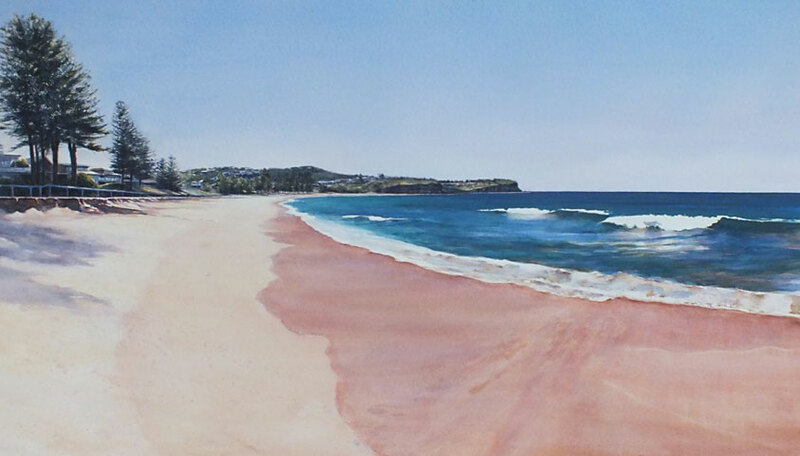 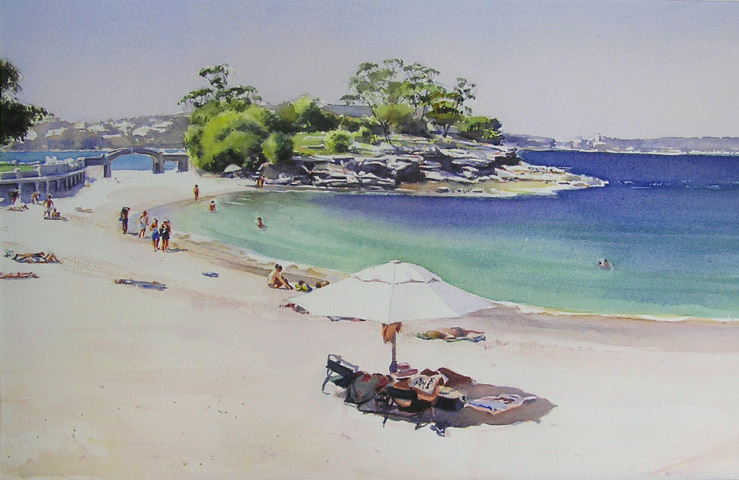 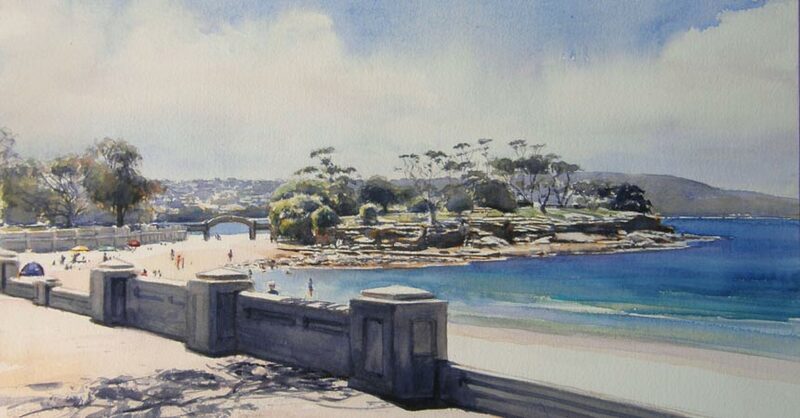 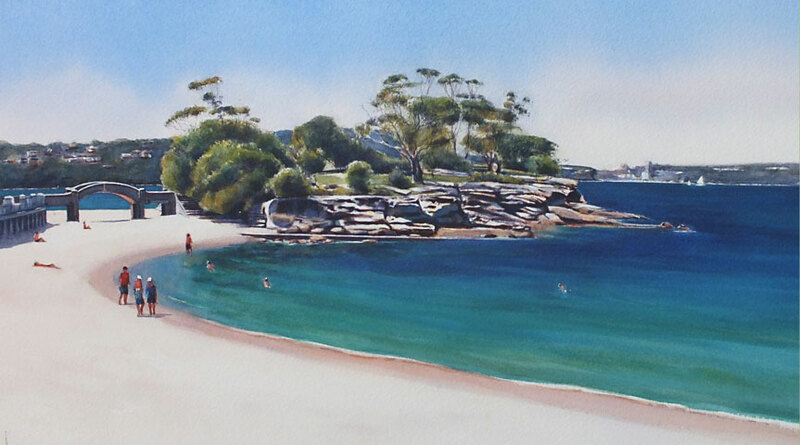 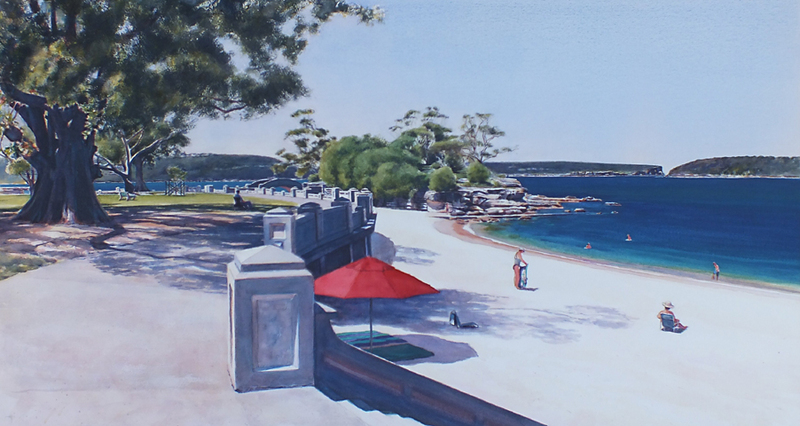 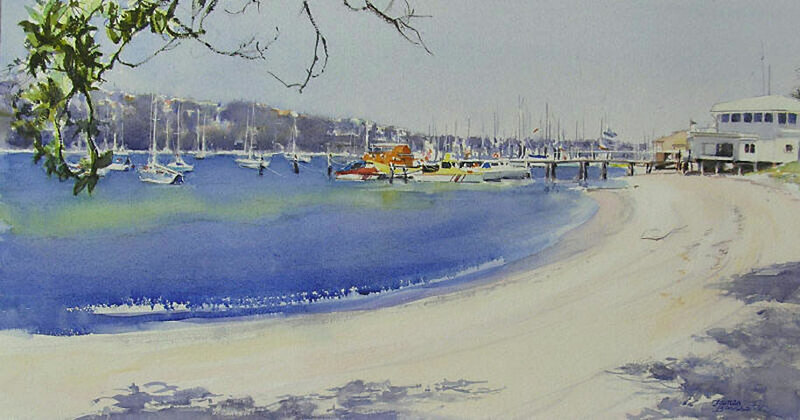 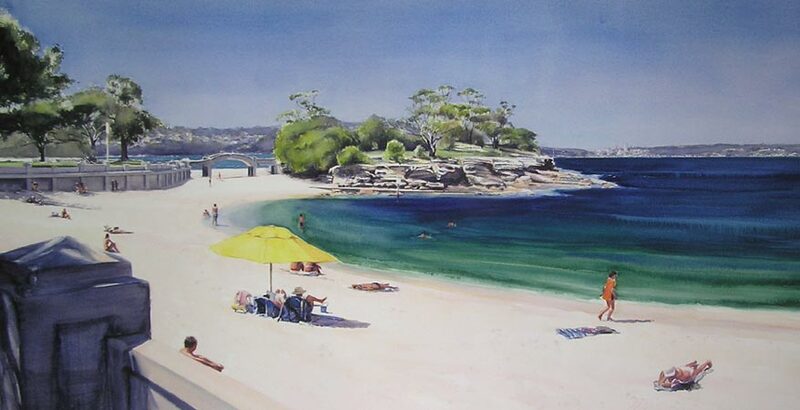 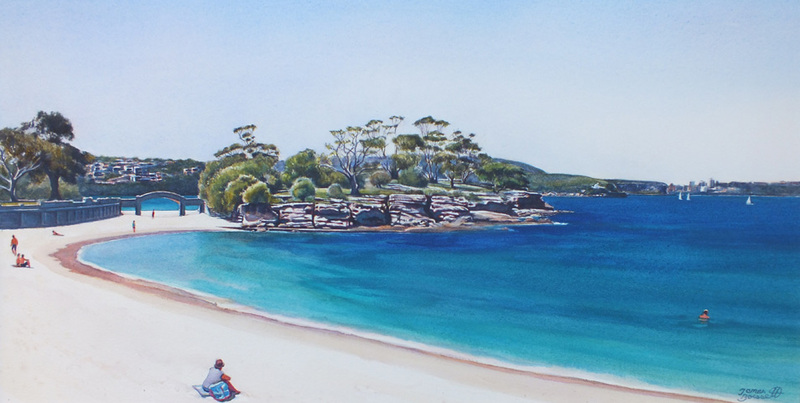 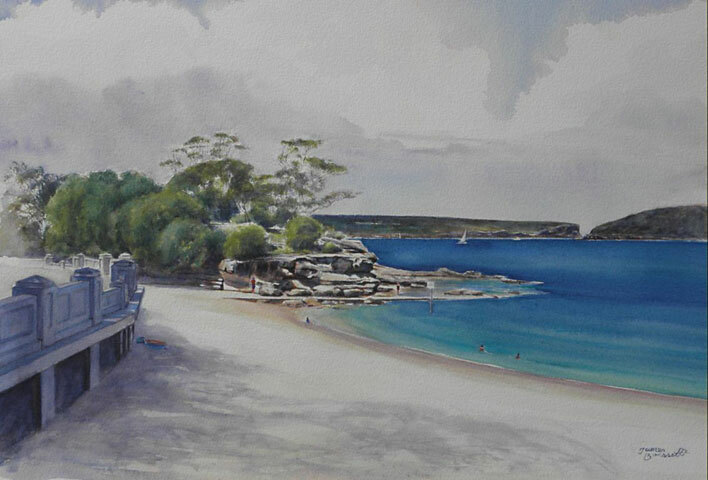 Rainbow coloured beach huts and umbrellas are each a stroke of the Watercolour Artist's brush. 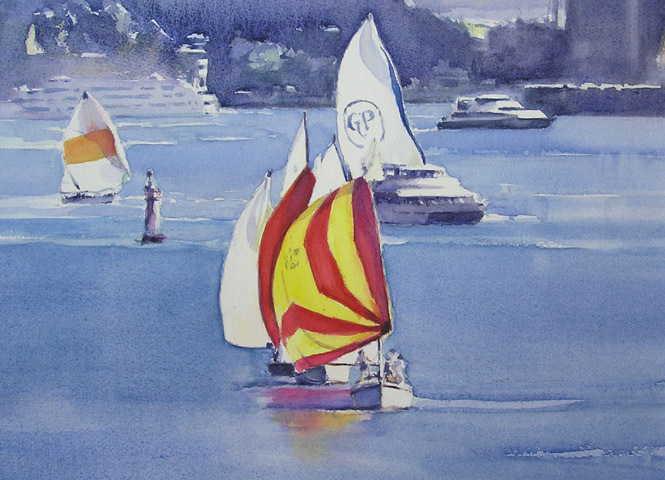 Aquatic spectaculars of hi - tech yachts and their crews jostling for positions in a race with full spinnakers as sailing clubs test their skills. 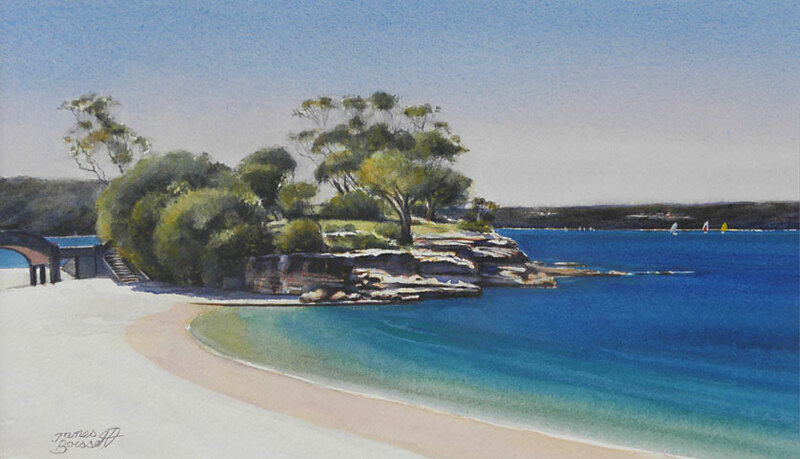 Contrast this with quiet secluded rocky and sandy harbour foreshores. 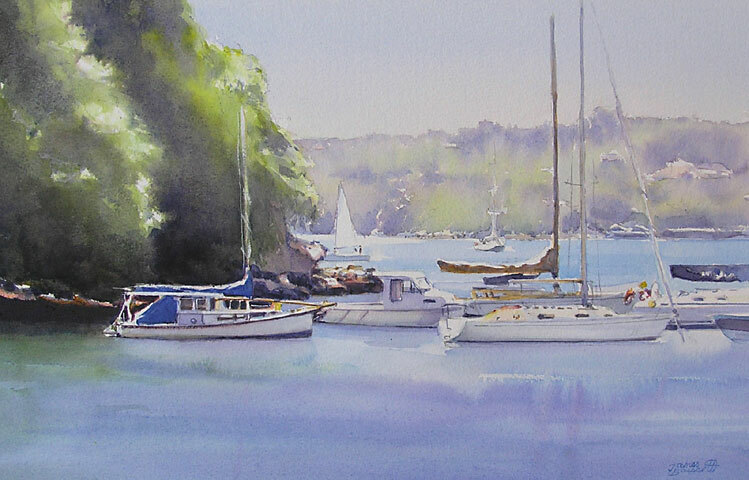 Idyll boats sway in the breeze on the ebb and flow of the tide. 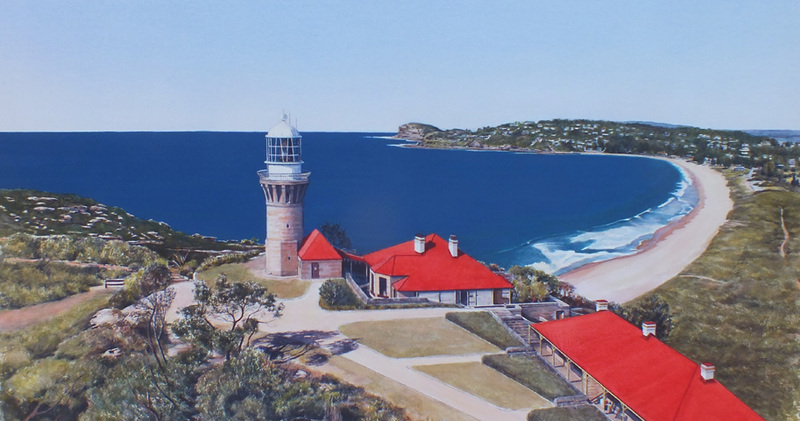 Of great interest are the great ocean beaches of Sydney, along with the icons of The Opera House, Sydney Harbour Bridge and its harbour ferries.